This morning on my too, too early Saturday commute to work, I had National Public Radio on (as I tend to have on 99% of the time when I’m in the car.) The Saturday morning show, “On the Media,” is generally one of my least favorites. The hosts sound a little too “winky” and snarky, the stories are often handled in a less-than-NPR-standard fashion, and it just doesn’t “click.” Still, it is orders of magnitude above the guffawing, overly-awake-and-perky morning shows on other networks. I don’t have a CD player in my car, so I muddle through “On the Media” as I try to wake up for the day. Incidentally, OTM is pre-recorded and is not broadcast live on Saturday morning. Today, though, OTM surprised me; the entire show was fantastic. When I slumped into my little Forester at 7:05am, a segment was just beginning: Should the Corporation for Public Broadcasting stop receiving federal funds and become wholly supported by listeners? My first thought was, “what on earth for? This is a valuable service! They struggle enough trying to get enough money as it is!” But I listened. In a time when vital programs are being cut by necessity, do we really need to spend that $400 on public broadcasting? We could take away the small sliver of funding that allows a lot of political interference and annoyance. It allows various politicians to “hew and cry,” and if you just get rid of it, you’d shut up loud-mouths like John Boehner and others. “Why should the personnel be of any interest to the Congress of the United States?” It shouldn’t – get rid of the funding, get rid of the interest. NPR’s non-profit ethos would survive any cut in federal spending. In fact it might even grow stronger. The federal government is broke and is going to get more broke. It’s a good time to make the cut. What are the core functions of government? Defense, a court system, et cetera: “The idea we have an inalienable right to ‘Car Talk’ or to ‘Sesame Street’ being piped in over taxpayer-paid airwaves strikes me as a stretch.” They’re not core functions of government. “We all want to live in a world where everyone can worship whatever god they want, but nobody is forced to pay for other peoples’ belief systems.” That goes for Lutheran or Baptist, Fox news or NPR. I see many valid points here, being especially partial to “it gets the politicians to shut up.” Another aspect I’ve been thinking a lot about lately, though, is how biased NPR is or is not. My parents listened to NPR when I was a little girl, and for the most part, it bored the pants off me. However, when I moved back to Michigan in 2007, I started listening again and I was immediately addicted. The rational, civil discourse I found on every show appealed to me. Here was a place I could gather information in an intellectual format! There was no yelling, very little interruption, and people could converse like normal human beings. 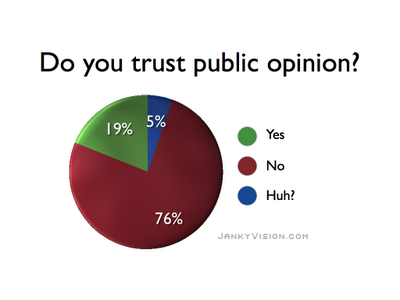 Hearing public opinion is also an interesting, though, for me, secondary, element. Rather than forcing us to take their shows at face value, we get to hear what people from around the country – indeed, sometimes from around the world – think, what questions, comments and criticisms they have. If we want to call and ask a host or a guest a question, we can. Here’s what I’ve been wondering, though; being a hugely liberal person myself, if I am so comfortable with NPR and so often find myself not offended by interviews and news reporting there… does that mean NPR itself is also hugely liberally biased? I understand there is bias present, certainly, but it’s the degree I’m wondering about. Is it that NPR hosts’ views seem to line up with my own, or is it simply the intellectual, smoothly-polished format that speaks my language? Does the fact I’m not being screamed at and over-stimulated by flashing graphics (or the aural equivalent thereof) make it seem more in line with my views just being I’m not being assaulted and offended? Is hearing the full, complete story from both sides so rare that it seems biased, because I am interested in hearing all the information? Is it that NPR caters to my sense of smug, intellectual superiority? I’m not sure, honestly, but I do know that I don’t often hear words like “salubrious” on other radio stations, or heck, even on television news. NPR does not shy away from using polysyllabic words, and I appreciate it. I don’t need my words dumbed-down, thanks. If NPR is highly biased toward the left, the public should not have to pay for it – specifically, the right-wing public. I surely do not want to pay for Fox news, and I shouldn’t expect Fox’s audience to subsidize my NPR listening if it is, in fact, biased toward the left. One thing it seems to me NPR does quite well with is providing both sides to the issues. Generally, for each Democrat or Republican guest, for each scientific theory proponent, there will be an opposing viewpoint. NPR may favor the left, but it surely gives the right its say – something else I very much appreciate. In keeping with this balance, the next gentleman interviewed offered his reasoning why it is vital to maintain federal funding of public broadcasting, and in fact, to increase funding for it. It actually leads to a more informed electorate. Provides a space for a deeper, more civilized and inclusive conversation and better information – interviewees get a chance to finish sentences. ; it’s not a 20-second shouting match pitted against opponents and hosts on Fox or MSNBC to “immoderate” the discussion. Public broadcast adds to the mix the kind of programming commercial broadcasters will not find profitable, and that is in the public interest. Commercial stations do not provide adequate public interest programming. Regarding bias: We should listen to criticism of bias, but not over-interpret it. It requires a certain degree of professional independence – we need to strengthen public broadcasting, and hold it accountable across the political spectrum. We could use news spectrum auctions to gather user fees from the purchasers and deflect those fees to public broadcasting, without incurring extra expense to the government. British publicly-funded broadcasting is an excellent model – civilized discourse across the political spectrum, world-renowned. I accept this judgment for the most part – the programming needs to be accessible and relevant for as many people as possible. However, my feeling is we are beginning to see more diversified and interesting programming: “This American Life,” “Radio Lab,” “The Moth Hour,” “Snap Judgment,” “The Story.” No longer is NPR’s version of really letting its hair down “The Prairie Home Companion.” The Saturday/Sunday show, “Speaking of Faith” holds fascinating conversations with philosophical and spiritual thinkers and leaders that are wonderful and thought-provoking. “Science Friday” distils often complicated scientific discussions down to a layperson level everyone can understand. These are great shows. I value them immensely – and I’m willing to pay for them. My parents instilled in me a sense of importance for funding the arts and culturally-enriching programs, so it is odd to find myself leaning away from federal funding of public broadcasting, yet I am still on the fence. Growing up watching “Nova” and other wonderful shows on PBS, and now, listening daily to NPR, I am solidly of the opinion these programs are of huge value to our population. Still, sacrifices need to be made. Is public broadcast more important than health care? My gut says no, but this is information we’re talking about. This is education. Still, better to cut federal funding for public broadcast, perhaps, than for schools or who knows what else. Right now, private donations from individuals make up the vast majority of public radio’s budget, generally followed by corporate and non-profit sponsors. Here’s NPR’s Wikipedia entry on funding and Michigan Radio’s Wikipedia entry on finances as examples. If we remove that sliver of federal funding, I can’t help but think the public, those of us who already financially supporting NPR or Michigan Radio or PBS through our donations, will continue to step up. We all hate (hate, hate, hate) the fund-raising drives on our public radio and television stations oh, so much. But that’s how they get to keep on doing what they’re doing. Instead of getting a constant barrage of commercials during programming, we get a week of “please please please send us a little money please.” I’ll take it. Even in these harsh economic times, I make my donation to Michigan Radio, and I am happy to do it, even if it means another bill gets paid late, because I value the service. I am glad to be able to do it, and I understand many are not. I gladly contribute so those who cannot make a donation can continue enjoying, as well. In my view, just by listening, they are also performing a public service by staying informed. The politically-charged atmosphere of election season has spurred a lot of interesting (and very heated) discussions between my friends on Facebook (and, to a lesser degree, on Twitter.) Several friends keep asking, “why do you expect the government to take care of you,” and “why should the government pay for x, y or z service?” These are lengthy questions I’m not going to go into here, but they do have merit. Even being a liberal who is of the opinion “we should take care of those who cannot take care of themselves,” I can see asking the question of public broadcasting. I want it to continue, but perhaps those of us who value it most should be the ones to carry the burden. I do recommend listening to the podcast of this week’s OTM. Two segments later in the show were really interesting: The appearance of objectivity in the media, and how NPR’s extensive editing process works to produce that smooth, erudite feel to shows and interviews. Those are two more blog entries unto themselves. 1 response to Should the Federal Government Stop Funding Public Broadcasting? Although at times NPR reporters come across as having a liberal bent themselves, they seem to me to try to compensate by allowing conservative commentary at times without any real critical analysis. They don’t quite have BBC reporters’ skill for picking apart what the interviewee says and taking them to task for anything that doesn’t make sense. Perhaps not having to worry about the screaming for their heads from the Wrong (’cause they’re definitely not Right), would free them in this regard. That said, I would worry that loss of federal funding might sound a death knell for public radio stations in conservative areas, in particular. I think that would be a bad thing, since those are the areas that could most use a counter to Fox News, and just the general tenor of the region. I’m sure that this must matter when I look at all of my high school and college classmates on Facebook who never left South Carolina and how conservative and Jesus-y most of them are. Those of us who got out? Not so much. Which may just mean that the ones who got away were going to anyway, but I think we were also the ones who needed another voice as a foil to the televangelist, FireandBrimstone, GodandCountry messages we were bombarded with constantly. And public broadcasting provided that.